You can get electric cars, SUVs and trucks. Soon, you could be seeing electric Winnebagos. There's no word, yet, on when you could be spending the night in one. Winnebago is famous for campers, but the first electric Winnebago models won't be recreational vehicles. Instead, Winnebago's first plug-in models are intended to be used locally for things like mobile classrooms, outreach vehicles and bloodmobiles. The big, shoe-box-shaped vehicle's driving range of 125 miles is too short for the sort of long distances vacationers might travel from campsite to campsite. Also, there aren't enough publicly available charging stations to make electric RVing practical, according to Winnebago. "We believe that all-electric vehicle applications continue to evolve," said Ashis Bhattacharya, head of Winnebago's specialty vehicles division. "This is our first step in this space." Plug-in camping might not be that far off, though. More RV campers are staying closer to home these days, according to a survey sponsored by Kampgrounds of America, a company that operates campgrounds for RV, tent, and cabin camping. Last year, 35% of campers traveled less than 50 miles from home and almost half of new campers were likely to stay that close to home. It was not clear from the survey what percentage of those short-haul campers drove RVs. Some KOA campgrounds do have electric vehicle charging available, KOA spokeswoman Annie Drury said, so that campers who have electric cars can charge them there. 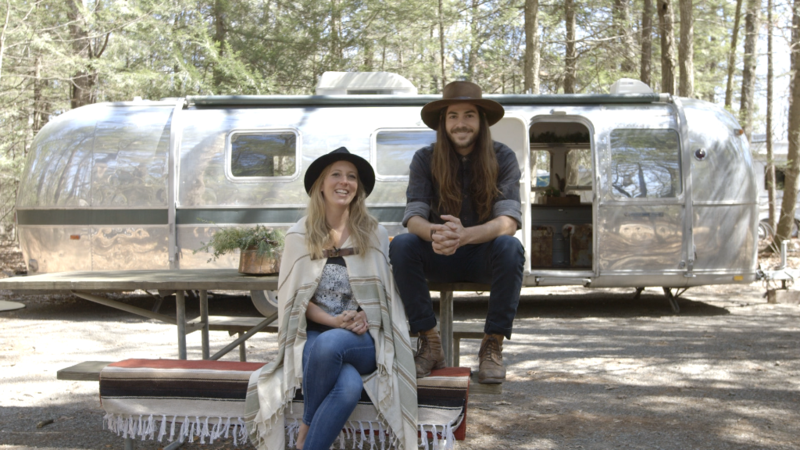 Winnebago's electric vehicle isn't intended for real camping. 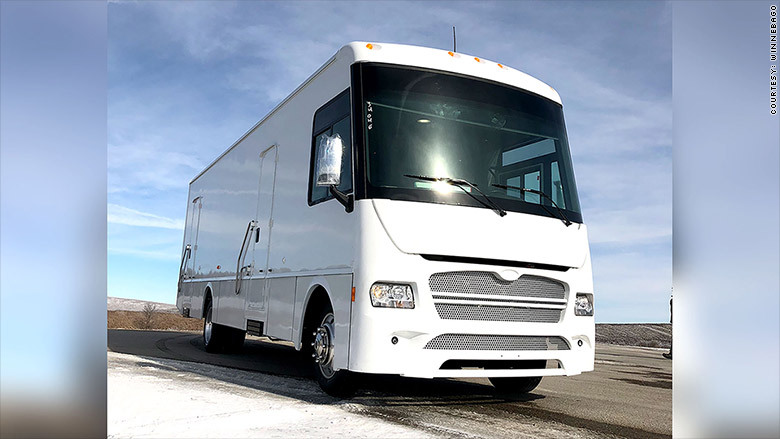 To make its electric vehicles, Winnebago has partnered with Motiv Power Systems, a company that makes chassis for medium-duty electric trucks. These are the sort of trucks that deliver goods to stores around a city, for example. Winnebago (WGO) will also make a financial investment in Motiv, but the terms of that deal were not disclosed. Camping has been growing more popular recently. The number of people who go camping three or more times a year increasing by 20% since 2014, according the KOA survey.